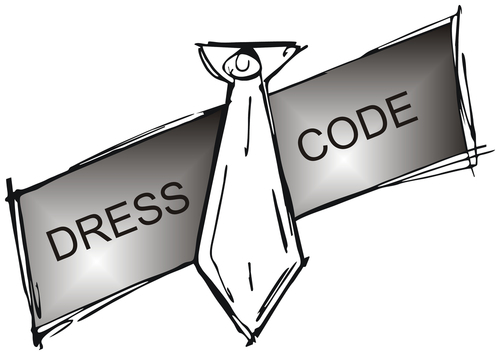 Rigid Dress Codes on the Way Out? Employers with rigid one-size-fits-all dress code based on a dated view of the workplace may want to rethink their policies. Today’s employees are protected by several national acts mandating employers to make dress code accommodations based on employees’ religious beliefs, disabilities, gender and gender identity, and protected activities (such as labor organizing). However, firms that clearly explain dress codes and the business reasons for them can still maintain dress code policies—as long as they are flexible about addressing requests for accommodations. SEC Cries Foul—Grammar, that Is! There really are grammar police! Sure SEC reviewers of IPOs check for accounting inconsistencies and adherence to regulations. But they’re also on the lookout for typos, punctuation errors, unclear jargon, and sentence fragments. Even type font and size has become a reason reviewers send back reports for revision. The sheer volume the commission must review (some reports are as long as 20,000 words) has made readability a real issue, so SEC reviewers are refusing to read proposals until they are more clearly written. Is “Test Drive” Hiring up to Speed? Send in résumé. Have interview. Receive job offer. Go to work … on a trial basis? After being burned by hiring new people who don’t work out, more and more companies are offering jobs temporarily so that they can evaluate whether the new empooyee is a good fit. Some firms bring on multiple people as independent contractors and end up hiring only a few. Others offer new employees temporary contracts or have them turn in a sample project before taking them on full time. Employees seem willing to go for this new model so they can show their abilities beyond talking about them in an interview … or perhaps just because of the tight job market. This entry was posted in 1. The Scoop and tagged clear writing, dress code policy, test drive hiring on October 21, 2014 by bizcombuzz.